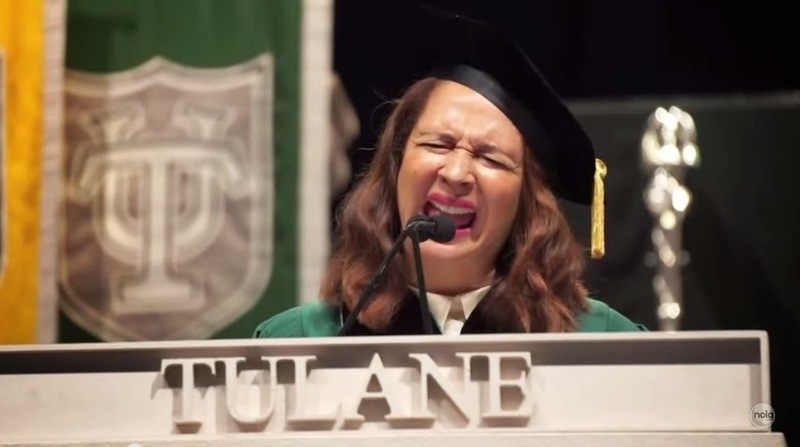 Maya Rudolph delivered a performance of "The Star-Spangled Banner" as the commencement speaker at Tulane University this weekend that reminds us all of her days imitating divas on SNL. Rudolph, who is the daughter of late singer Minnie Riperton, channeled the spirit of her mother, Beyoncé, Mariah, and all other undeniably talented over-singers for this hilarious take on the National Anthem. We're sure the new graduates left with a renewed sense of pride in being American.